More than 100 animals were seized from Elizabeth and Jeffery Jackson’s property in November 2017 after allegations of animal abuse. A La Plata County couple charged with more than 100 counts of animal cruelty had the number of charges significantly reduced Tuesday. Deputy District Attorney Brendan Richards filed a motion Monday to reduce the number of charges for Elizabeth and Jeffery Jackson to 31 counts of animal cruelty. In court records, Elizabeth Jackson is also referred to by her maiden name, Miera. “After reviewing the evidence, the People (prosecution) find it appropriate to proceed on 31 counts,” Richards wrote in his motion. Efforts to seek more details on why the number of charges was reduced were unsuccessful late Tuesday. Calls to District Attorney Christian Champagne were not immediately returned. La Plata County Judge Dondi Osborne approved the motion to reduce charges in a court hearing Tuesday. 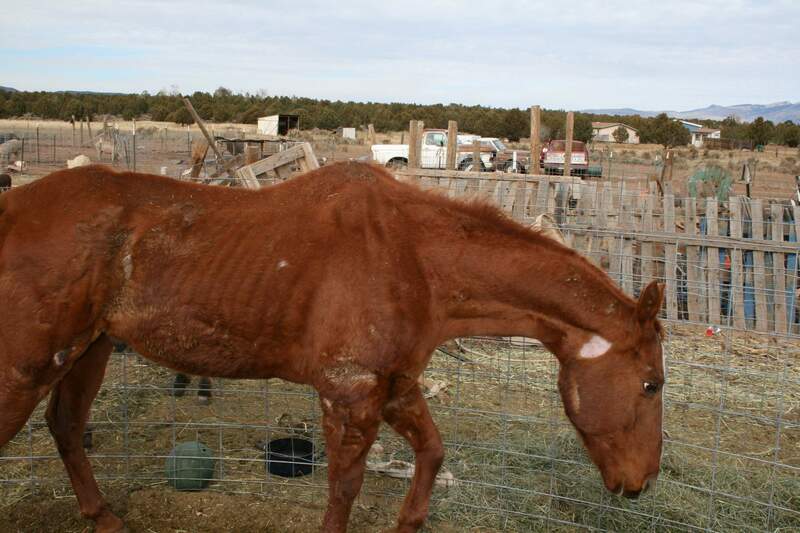 A horse on the Jackson property was seized after allegations of animal abuse. Elizabeth and Jeffery Jackson face 31 counts of animal cruelty. The court set a jury trial for Jeffery Jackson, 48, to start Nov. 29 and a jury trial for Elizabeth Jackson, 47, to start Dec. 13. But Richards indicated the prosecution will file a request to try Elizabeth and Jeffery Jackson together at one trial. Attorneys for both defendants said they would oppose such a motion. The matter is set to be discussed Oct. 16. Elizabeth Jackson also seeks a change of venue for the jury trial. Her attorney did not explain why a change of venue would be warranted. That, too, will be discussed at the October court hearing. 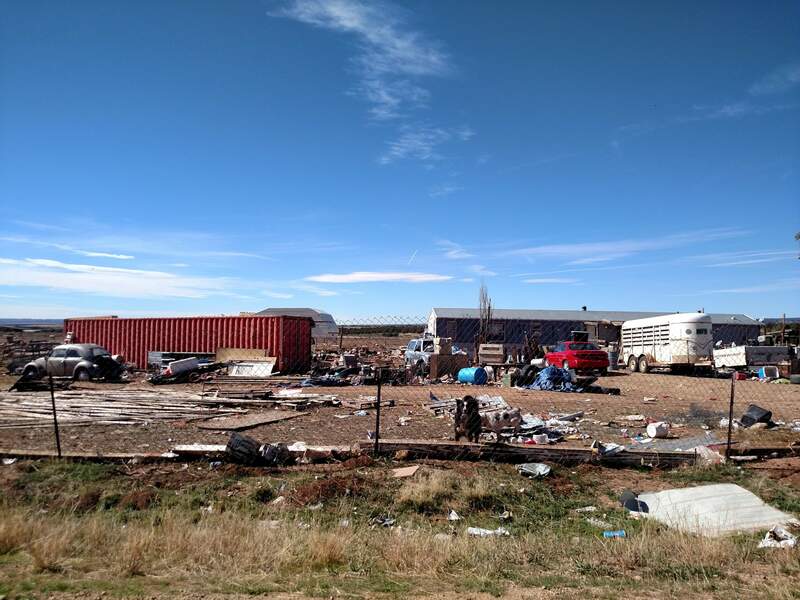 In November 2017, authorities executed a massive animal seizure on Jackson’s property in southwestern La Plata County after a lengthy investigation into the mistreatment of animals. Animals seized from the property included chickens, cows, dogs, goats, horses, pigs, sheep, a burro, a cat and a duck. Elizabeth Jackson is also charged with two counts of unlawful possession of wildlife and unlawfully transporting portions of wildlife after investigators found a poached elk on the property during the seizure. Both Elizabeth and Jeffery Jackson have pleaded not guilty.